On the Caracas skyline, the Tower of David stands tall and proud. It was once a sign of Venezula’s position in the economic marketplace. 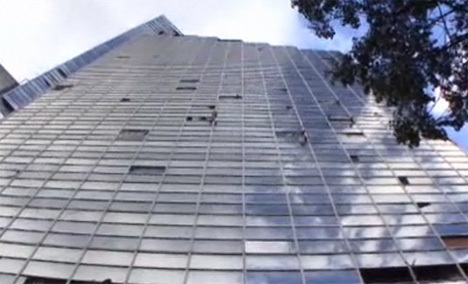 Today, the 45-story skyscraper has earned a very different type of notoriety: it is quite possibly the tallest squatter-occupied building in the world. The government calls its residents “invaders” – but they think of themselves as resourceful citizens who make the best of a terrible situation. In the early 1990s, businessman David Brillembourg financed the building that was to become a center of commerce for Caracas and all of Venezuela. But Brillembourg’s death in 1993 caused the building – along with many of Brillembourg’s other business assets – to fall into the hands of the government. 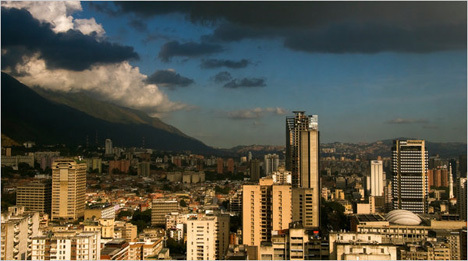 Economic downturn and a dramatic housing shortage changed the social, political and even physical landscapes of Caracas. 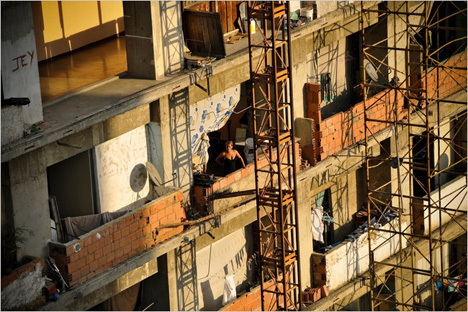 By 2007, the housing crisis had reached such heights that many parts of Caracas had been taken over by squatters. People who were unable to find traditional housing simply moved into empty buildings, including the unfinished skyscraper and more than 20 other abandoned structures in the area. The government is well aware of the “invasions,” but does nothing to either evict the squatters or provide them with help to find traditional housing. 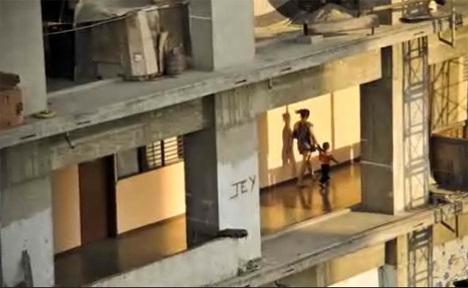 The Tower of David serves as an impromptu home for some 2,500 displaced Venezuelans – some made homeless by the economy and others by flooding and other natural disasters. They occupy the corridors and the chambers once meant for banking offices. In the absence of a working elevator, they walk up to reach all 28 of the currently-occupied levels. Families and individuals alike find shelter in this highly unusual home. Unlike the typical image of squatter settlements – disorganized every-man-for-himself sort of environs – this group has decided to stick together and help one another. They have security details at the entrances with constant walkie-talkie communication. There is electricity on every occupied floor after residents tapped into the local grid. Running water is rigged up as high as the 28th floor, and small resident-run shops are scattered throughout the building. There is a strange kind of contradiction here in the Tower. The missing windows, terraces without guardrails and unfinished walls present some of the most dangerous conditions one can imagine raising a family in. However, living in even a dangerous building is safer and more secure than living on the streets. The building which was meant to be a symbol of wealth and success has become precisely the opposite. 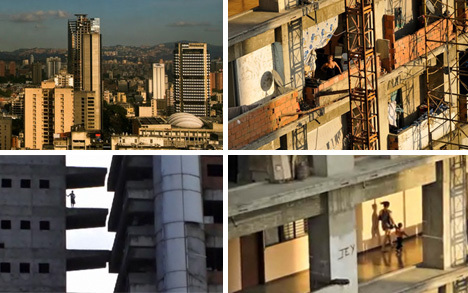 The opulent office spaces with their breathtaking views, originally meant for bankers and businessmen, now belong to the squatters of Caracas, those desperate and forgotten souls who make a home wherever they can. 3D Printing Goes Giant: Print Your Own Home? !